Amid concerns that the US decision to withdraw from Iran nuclear deal will lead to the loss of close to $40 billion in contracts for Boeing and Airbus, Russian airplane builders have a historic opportunity to receive a new foreign market for its latest designs. On Tuesday afternoon, in a move condemned by Tehran, most of the US's allies and much of the international community, President Trump announced that the US would withdraw from the Joint Comprehensive Plan of Action, the 2015 deal on the Iranian nuclear weapons program. Bloomberg described the decision as a catastrophic "lost opportunity," with Treasury Secretary Steven Mnuchin confirming to reporters there is little hope that the US and European aircraft-building giants will get a chance to sell close to $40 billion in new planes to Iran. The Treasury has confirmed that it will withdraw export licenses on the sale of planes to the country. Like Boeing, Airbus too will be subject to US export restrictions, because over 10% of the parts in its planes are made by US suppliers. Boeing Vice President Gordon Johndroe said his company would consult with Washington on its "next steps." Meanwhile, a spokesperson for Airbus told Bloomberg that the company would "carefully analyze" the implications of Washington's decision and that it "might take some time" for them to figure out how to proceed. Airbus now has 95 undelivered planes that it had hoped to sell to Iran, including 16 orders of its A350 wide-body, long-range jet airliner, and 28 for the A330neo, another wide-body that's still under development. Boeing has been more fortunate; its conservative approach following President Trump's election means that it never actually closed its planned transaction with Iran Air on planes including the 777-300ER wide body airliner. But the company did have some $16.6 billion in contracts for 80 jets, with these orders now almost certainly void. Cloud With a Silver Lining? President Trump's decision on Iran may actually be an unbelievable stroke of good fortune for United Aircraft Corporation, the Russian aircraft manufacturing holding that has made substantial efforts to revive and modernize its civilian aircraft offerings in the last four years. The Il-96-400M, a comprehensive modernization program for the Il-96 wide-body airliner is one such project. With a seating capacity of 390 passengers and a range of 12,000 km, the plane is expected to compete directly against Boeing and Airbus for the Russian market. UAC signed a contract with Ilyushin Aviation Complex to develop the Il-96-400M in 2017, with the aircraft expected to be ready for flight testing in 2019. If all goes to plan, the plane will be fitted with four powerful, fuel-efficient Russian-made engines and feature advanced avionics. It is also expected to be fitted with embedded ladders under the fuselage, allowing for a significant reduction in boarding and deboarding time, and savings on expenses for airport ramps. There's no word yet on how much the new Il-96 will cost, with predecessors hovering in the $40 to $50 million price range. However, accounting for inflation and new technology costs, even a doubling, tripling or quadrupling of the price would still put the Il-96-400M well below the cost of the A350 (priced from $317 million to $336 million), and the Boeing 777 ($295 million to $361 million). Russian aircraft makers have made progress on the medium range/capacity front, too. The Irkut MC-21, a brand new single-aisle twinjet liner, with a capacity for 132-211 passengers and a range of between 6,000 and 6,400 km, is in the flight testing stage, with certification expected in late 2019 and the first deliveries by 2020. As of late 2017, the prospective plane has already accumulated 315 orders. The MC-21 is designed to be a direct competitor to the Boeing 737 and the Airbus A320, and priced at $72 million for the —200 variant and $91 million for the —300 (for comparison, the cheapest model in the A320 family costs $77.4 million). 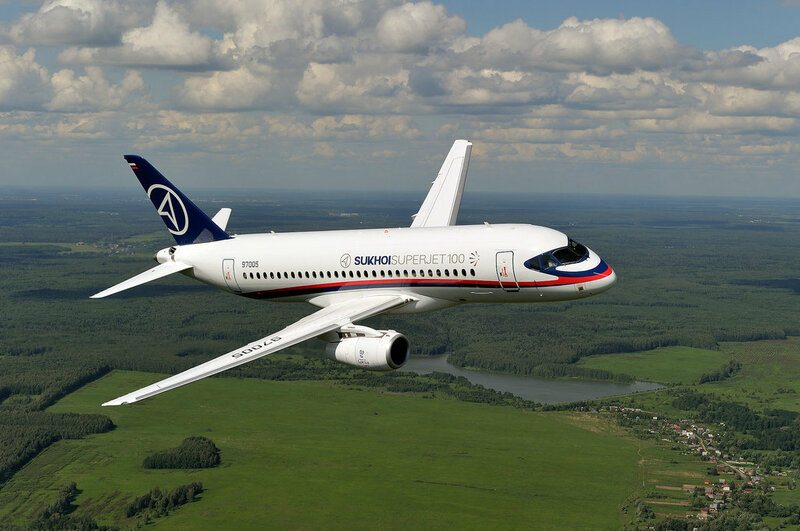 Rounding out Russia's new aircraft offerings is the Sukhoi Superjet 100, a regional twin-engine aircraft introduced in 2008 and able to carry up to 98 passengers up to 3,975 km. With 159 Superjets already delivered, the plane is operated by a collection of airlines and government agencies stretching from Russia to Mexico, Ireland, Kazakhstan, Switzerland and Thailand. In March 2017, RusIranExpo CEO Alexander Sharov told Sputnik that he was optimistic about the Superjet's future in Iran. "In terms of quality/price ratio our planes are better," he said. One place where Western manufacturers have an advantage is financing and insurance, Sharov admitted. But with Washington's sanctions now threatening to cut the Western aircraft manufacturing giants out of the loop altogether, Tehran may start to look at Russia's portfolio with new eyes.